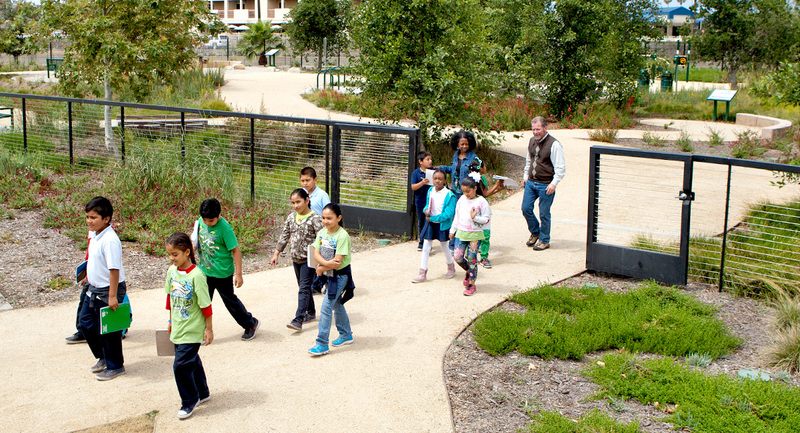 This creekside park in a highly urbanized area is now providing school kids and the surrounding community a multi-sensory natural park experience that layers history, natural science and art. 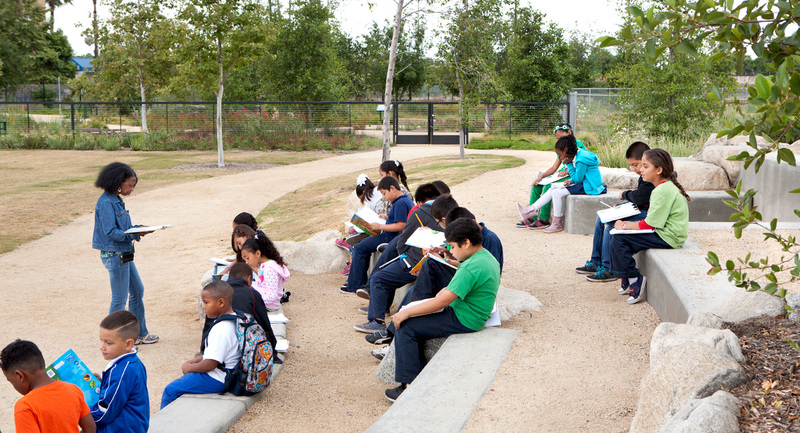 A five-acre lot behind Washington Elementary School was transformed into a safe place for student exploration, with spacious green areas for recreation and socializing. 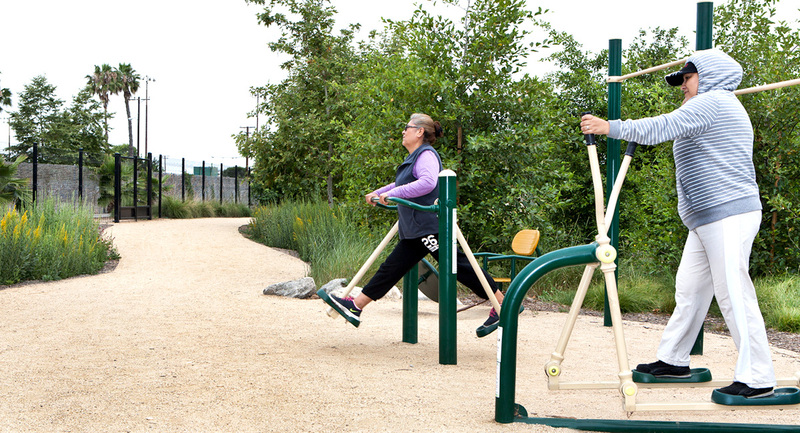 The multi-use trail along Compton Creek includes interpretive signs, a community plaza and picnic/outdoor classroom, as well as a small amphitheater, exercise stations and multi-use sports/play area. 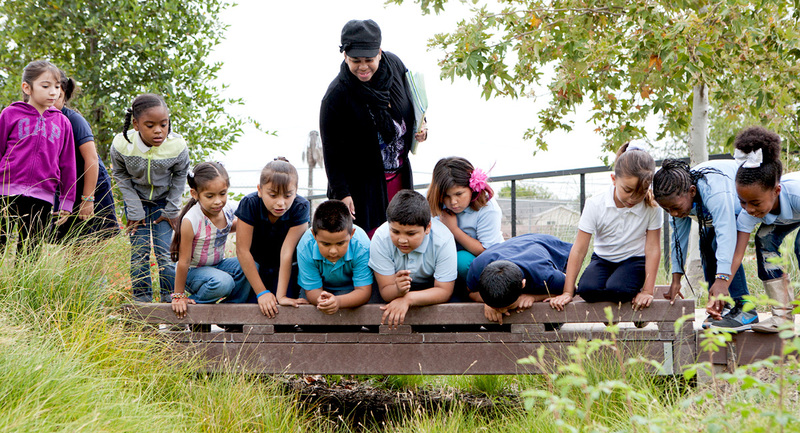 A next phase of construction will include learning areas such as a native stone climbing wall, play stream, local Native American history-themed sand play and a historic California-themed children’s garden. The design includes native plants, permeable paving in the parking area, surface bioswales and an underground cistern that collects stormwater for irrigation. 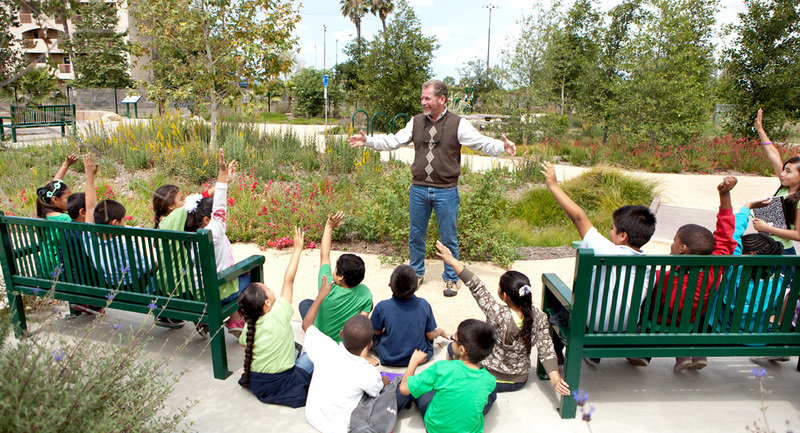 The project is a partnership of the Mountain Recreation Conservation Authority and the Compton Unified School District.